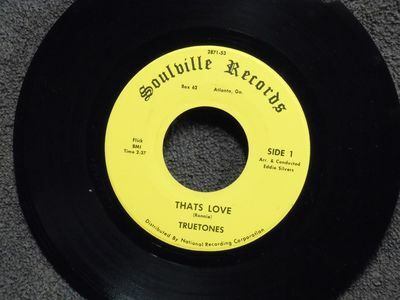 Gripsweat - northern soul THE TRUETONES He's Got the Nerve SOULVILLE M- Listen!! northern soul THE TRUETONES He's Got the Nerve SOULVILLE M- Listen!! ADDITIONAL NOTES: ORIGINAL COPY-NOT A REISSUE!!! Postage will be paid by the buyer. No handling fees will be charged. LISTEN! !